Placed in a convent at the age of thirteen, Virginia Galilei, Galileo's eldest daughter, wrote to her father continually. Now Dava Sobel has translated into English all 124 surviving letters that Virginia (renamed Suor Maria Celeste at the convent) wrote to Galileo. The letters span a dramatic decade that included the Thirty Years' War, the bubonic plague, and the development of Galileo's own universe-changing discoveries. 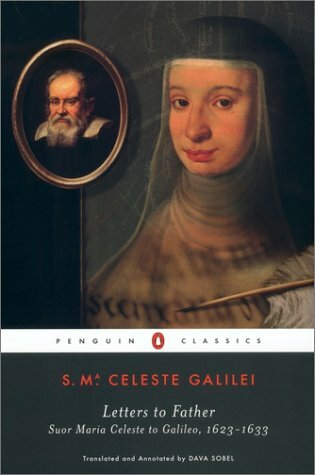 Suor Maria Celeste's letters touch on these events, but mostly they focus on details of everyday life that connect her and her father: descriptions of confections she sent to him; news of his estate, which she managed while he was on trial; a request for Galileo to fix the convent clock. Her prose reveals an exceptional woman and presents a memorable portrait of deep affection between a father and daughter.